These terms and conditions are to have a good relationship in between Expat Homes (pvt)Ltd hereinafter referred as "The Company" with the property owners, tenants and investors (here in after referred as "The Client")listed with the company. If the company found a successful tenant for the property, the company will charge owner a equal One (01) month rent at the execution of the tenancy agreement, as the commission, if the rental period more than one year. 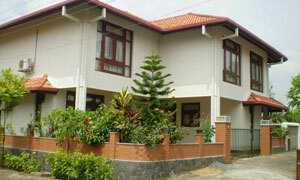 Short period rentals, the company will charge 10% commission from the amount for the period, the tenant stayed. For investments, the company will charge 3% commission below rupees 100,000,000/- (rupees hundred million) investments and over rupees 100,000,000/- (rupees hundred million) commission will be 2.5%. The company will not use owner's data for third party advertisements or any other use. Only for the company related updates and other matters. We may disclose owner's data if any legal requirement arises.